In Finland, employment relationships are regulated by statutory law, collective bargaining agreements, employment contracts, policies and established practices. the Act on Co-operation within Undertakings (334/2007, as amended). Additionally, there are several other acts regarding employment relationships. Collective bargaining agreements play a significant role in Finnish labour market regulation, as 85 per cent of employees in the private sector are covered by them. If the employer is a member of an employers' organisation, it is bound to the collective bargaining agreement concluded by the employers' organisation of which it is a member. In addition to the above, employers that are not bound by any collective bargaining agreements may have an obligation to comply with the minimum terms of a collective bargaining agreement that has been declared as generally binding in the relevant field of business (approximately 160 generally binding collective bargaining agreements existed at the end of 2017). Therefore, certain terms and conditions of employment may arise from a collective bargaining agreement simply because the employer conducts business in a specific field, or alternatively from the employee's duties. Employment disputes are generally heard by local district courts as first instance. The Labour Court hears and resolves disputes arising from the interpretation of collective bargaining agreements and collective bargaining agreement-related industrial actions. The ICT Act (908/2017), implementing the ICT Directive, and the Seasonal Workers Act (907/2017), implementing the Seasonal Workers Directive, entered into force on 1 January 2018. The objective was to harmonise and facilitate the work and movement of third-country nationals in the European Union. The General Data Protection Regulation (GDPR) entered into force on 25 April 2018. The GDPR created a need for legislative changes in Finland and, accordingly, the new Data Protection Act entered into force on 1 January 2019 replacing the Personal Data Act. The intention is to improve data protection and the rights of the data subjects as well as to harmonise data protection legislation in the EU Member States. A legislative change in relation to variable working hours entered into force on 1 June 2018. An employer may no longer take the initiative to agree on variable working hours when its actual need for a workforce may be deemed to be permanent or on minimum working hours that are lower than its actual need for a workforce. The rights of employees who already work variable hours were also improved as the right to sick pay and to salary for notice period were strengthened. Furthermore, the changes impose an obligation on the employer to take sufficient time to plan the shifts and to inform the employee of the shifts at least one week in advance. A legislative change regarding apprenticeships entered into force on 1 July 2018. The aim of the change is to increase the use of apprenticeships as a form of education. As a result, an employer may offer work to an apprentice prior to offering additional work to part-time employees or re-employment to former employees under the re-employment obligation. A new Trade Secrets Act (595/2018), including necessary amendments to implement the Directive on the Protection of Trade Secrets, entered into force on 15 August 2018. The new Act includes a definition of trade secret, regulation concerning unjustified acquisition, usage and disclosure of trade secrets as well as reporting (whistle-blowing) and legal remedies. The Act enhances the legal protection of trade secrets. The new definition of trade secret was also included in the Employment Contracts Act. The Supreme Court assessed the characteristics of a business transfer in three rulings2 that heavily relied on the rulings of the Court of Justice of the European Union (CJEU). The Supreme Court declared that the importance of each criterion established by the CJEU depends on the nature and special characteristics of the business activities in question. The key in assessing whether the transfer at hand is to be considered a transfer of business is to assess whether the most important factors in keeping the business running are transferred. The Supreme Court ruled that a business transfer had occurred in all three cases due to overall assessment as the operations were continued without interruption in the same premises and the businesses remained the same prior and after the transfer. In two of the cases, which concerned intensive care services, the Court considered the tangible assets (the premises and appliances) to be the most essential factor for the functioning of the business. Consequently, the business of intensive care services for the elderly was considered to be non-labour-intensive. Therefore, the fact that the majority of the employees were not hired by the municipality was not the decisive factor in the assessment. In the third case, concerning schoolchildren's afternoon activities, the Supreme Court considered the business to be largely based on the personnel but also requiring appropriate premises and furnishing. Therefore, the business is neither asset-reliant nor labour-intensive but it requires both. Thereafter, the Supreme Court stated that as the new service provider had continued providing the services in the same premises with the same furnishing to the same clientele, the transferred afternoon activities had remained similar enough rendering the transfer a transfer of business despite the fact that only one out of four employees had been hired by the new service provider. Finnish law does not include rules on the form of an employment agreement. Therefore, written and oral employment agreements are equally valid. However, a simple written employment agreement is the most typical form, as it may otherwise be difficult to prove what has been agreed upon. The employer must provide the employee with written information on the essential terms of employment within the first month of employment, if these are not included in a written employment agreement. An employment agreement is deemed to be valid indefinitely unless it has, for a justified reason, been made for a specific fixed term. Agreements made for a fixed term on the employer's initiative without a justified reason shall be considered valid indefinitely. However, it is possible to make a fixed-term employment contract with a person who has been unemployed for a long time, without a justified reason, for a maximum period of one year. It is prohibited to use consecutive fixed-term agreements when the amount or total duration of fixed-term agreements or the totality of such agreements indicates a permanent need for labour. Pursuant to the Employment Contracts Act, the employer and the employee may agree on a probationary period of six months at most. The employer is entitled to extend the probationary period, if the employee has been absent from work for a certain period of time as a result of incapacity for work or family leave. During the probationary period, the employment may be terminated with immediate effect by either party. However, the employment cannot be terminated on discriminatory or otherwise inappropriate grounds with regard to the purpose of the probationary period. The purpose of this period is to give an opportunity for both the employer and the employee to evaluate whether the employment relationship meets their expectations and whether they wish to continue the employment relationship after the period has expired. This means that it is not possible to refer to the probationary period as a ground for termination if the employment is terminated for redundancy reasons (financial, production-related or reorganisational grounds). If the employment contract is made for a fixed term of less than 12 months, the probationary period may not exceed 50 per cent of the duration of the employment. If the fixed-term employment lasts longer than a year, the probationary period may be six months at maximum. A foreign company can hire employees directly without having to set up a branch office or subsidiary company in Finland. However, when business is carried out permanently and when there are employees in Finland, it may be practical to operate through a local company or a branch. If a foreign company pays out wages or salaries regularly, the company has to register itself as an employer with the tax authorities. If a foreign company has a permanent establishment, it must also register a branch with the Finnish Trade Register. A permanent establishment could be constituted, for example, if the company has a fixed place of business through which the business is wholly or partly carried out, or if a dependent agent (such as an employee) is acting on behalf of the company and has, and habitually exercises, an authority to conclude contracts in the name of the company, unless the activities in question are only preparatory or auxiliary. When a foreign company is registered as an employer, it will have all the same obligations as Finnish companies (e.g., it must withhold tax on paid wages, pay the employers' social security contribution and file periodic tax returns and annual employer payroll reports). A foreign employer must also take out pension insurance, accident insurance and unemployment insurance for its employees. The employee is prohibited by law from engaging in competing activity causing apparent harm to the employer, such as working for a competing company during the employment relationship. The employer and the employee may also agree on post-employment non-competition restrictions. This requires that there are particularly weighty reasons related to the operations of the employer. When assessing whether such reasons exist, weight is given to the nature of the employer's operations and the need for protection related to trade secrets, special training given to the employee by the employer, and the employee's status and duties. A non-competition restriction may be valid for up to six months after the termination of the employment. If the employee receives reasonable compensation for the non-competition restriction during the employment or thereafter, the covenant may be agreed to be valid for up to one year after the termination. However, the non-competition restriction does not bind the employee, if the employment is terminated for a reason deriving from the employer. Instead of liability for damages, a clause on liquidated damages may be included in a non-competition agreement, but it may not exceed the employee's salary for six months. Limitations regarding the length of the non-competition restriction and the amount of the liquidated damages do not apply to employees in executive positions or in independent positions directly comparable to executive positions. In this case, the non-competition restriction may be valid for a reasonable time and is null and void to the extent considered unreasonable. There are no statutory rules regarding other post-employment restrictions such as non-solicitation of customers or employees. Therefore, the use of a non-solicitation clause is less strict than the use of a non-competition restriction. The use of a non-solicitation clause is limited only by what is considered reasonable. According to the Working Hours Act, the normal maximum regular working hours are eight hours per day and 40 hours per week. However, according to most collective bargaining agreements, 7.5 hours per day and 37.5 hours per week are normal working hours. Work that is carried out between 11pm and 6am is considered night work. According to the Working Hours Act, night work is allowed only in certain specifically mentioned tasks (e.g., period-based or shift work). Work that is done on the employer's initiative in excess of eight hours per day and 40 hours per week is normally considered overtime work. Overtime must be compensated based on the actual working hours put in by the employee. Overtime work is compensated with the applicable hourly wage increased by 50 per cent (for the first two hours and weekly overtime), or 100 per cent depending (for the hours exceeding 10 hours) on the actual overtime hours. With certain manager-level employees, it is possible to agree on monthly lump sum compensation for overtime. The employer and employee may agree that overtime is compensated partly or completely by corresponding free time during regular working hours. Employees in executive positions and employees working remotely, for example, from home without the employer supervising or participating in the arrangements of working hours, fall outside the scope of application of the Act and are not entitled to overtime compensation, unless otherwise agreed. Primarily, employers may employ foreign employees without limitations if they have a residence permit allowing them to work in Finland. Citizens of the European Union, Norway, Iceland, Switzerland and Liechtenstein can work in Finland without a residence permit. Citizens of any other country usually need a residence permit based on employment in order to work in Finland. Working in Finland with a permit granted by another country is usually not allowed, especially if the duration of the employment is longer than 90 days. In some cases, it is sufficient if an employee has a residence permit or a visa granted by another Schengen country or if the person is allowed to reside in Finland without a visa. Situations when an employee is allowed to work in Finland without a residence permit with or without limitations are covered by the Aliens Act (301/2004, as amended). The employer has to ensure that a foreign employee has a residence permit entitling him or her to work in Finland. The residence permit informs the employer of what type of work and for how many hours a week the person is allowed to work. In general, Finnish labour laws apply to foreign workers, but there may be exceptions relating to employment with international aspects. Provisions on the minimum terms and working conditions of employees posted to Finland are laid down in the Posted Workers Act (447/2016). The employer has to withhold tax on paid wages and pay insurance contributions and social security contributions unless an employee has a certificate showing that he or she is covered by another country's social insurance system. Terms of employment may also derive from policies implemented by the employer, provided that such policies are in compliance with the law. There are no specific rules governing internal company policies. Therefore, establishing these policies is generally voluntary, but it is recommended that they are made in writing. It is also recommended that the employer reserves the right to amend any policies it has adopted at its own discretion. If the policies are amended, the employees need to be duly informed about the change in order for the change to be binding on the employees. Additionally, in order for such policies to be binding on the employees, the employer has an obligation to follow the employees' compliance with such policies and react to any non-compliance. If the employer does not take any action in the case of a breach of a policy by an employee, the employer may have difficulties in imposing any negative sanctions based on that policy. Certain practice followed by the employer may also constitute binding terms of employment. This often applies to certain benefits granted by the employer. The practices may become binding if these have been continuously applied for a lengthy period. Moreover, there are a few policies that are statutory, such as the equality plan and personnel plan in order to support equal opportunities between men and women, as well as to support the employees' skills and working capacity. Such statutory policies must typically be discussed with the personnel or their representatives on a regular basis as part of the cooperation with employees. There are no rules regarding the language of the employment agreement or other employment-related documents. If, for example, the duties of the employee require English skills or it is otherwise clear that the employee understands English, the agreement and other instructions and policies can be in English. However, in order to avoid further disputes, it is important to prepare the employment documents in a language the employee fully understands. There is a risk that the employment agreement or parts of it may be declared non-binding if the employee claims that he or she has not understood the meaning of the agreement or policy. The personnel groups may be represented by shop stewards, elected representatives or cooperation representatives. The most typical form of employee representation is a shop steward referred to in a collective bargaining agreement applicable to the employer under the Collective Agreements Act (436/1946) or, in case the employees do not have a shop steward representing them, an elected representative based on the Employment Contracts Act. In general, each personnel group may separately elect among itself a shop steward. Only the employees who are members of an employee organisation that has entered into a collective bargaining agreement may participate in the election of the shop steward. The shop steward is elected for a fixed term, typically for a term of two years. A personnel group that does not have a shop steward may elect a representative from among themselves. The election of the employee representative is not regulated, and therefore the employees may, for example, freely decide the date of the election and the candidates. The shop stewards and elected representatives are entitled to receive the information they need to carry out their representative duties. In addition, they must be reasonably released from work obligations in order to take care of the representative duties. The employer must compensate for any loss of earnings caused thereby. Shop stewards and elected representatives have special protection against dismissals. Their employment can be terminated on individual grounds only if the majority of the employees represented by them accept the termination. Moreover, in cases of collective dismissals, reorganisation procedures or bankruptcy, the employment can be terminated only if the work of the shop steward or elected representative ceases completely and the employer is unable either to arrange work that corresponds to the person's professional skills or is otherwise suitable, or to train the person for some other work. If a majority of any personnel group is not entitled to participate in the election of a shop steward, the employees belonging to this majority are entitled to elect, on a majority decision, a cooperation representative from among themselves for a maximum of two years at a time to represent them in cooperation procedures. Moreover, in order to ensure health and safety at work, the employees in every workplace with at least 10 employees should elect among themselves an occupational safety and health representative and two deputy members to represent the employees in matters regarding the safety of the workplace. The occupational safety and health representative is entitled to be released from work obligations as well as receive the essential information for carrying out the industrial safety duties and enjoys the same special protection against dismissal as shop stewards and elected representatives. The Act on Personnel Representation in the Administration of Undertakings (725/1990, as amended) is applicable to companies that regularly employ at least 150 employees in Finland. Pursuant to the Act, an employer and the representatives of the employees can agree on personnel representation in order to promote the personnel's participation in decision-making in executive, supervisory or advisory bodies of the undertaking. However, in case no agreement can be reached, the personnel can appoint their representatives to a decision-making body covering all profit units chosen by the employer. Moreover, according to the Act on Cooperation within Finnish and Community-wide Groups of Undertakings (335/2007), cooperation procedures between management and personnel must be established in Finnish company groups ensuring the dialogue of company management and employees. The parties may agree on the election procedure and the number of representatives. Under Finnish law, the employer is allowed to process the personal data of its employees without registering with the data protection authorities. However, according to the Act on Protection of Privacy on Working Life (759/2004, as amended), the employer is only allowed to process necessary personal information relating directly to the employee's work. Primarily, the employer must collect information concerning the employee from the employee himself or herself. processing is necessary for the purposes of the legitimate interests of the controller or a third party, except where such interests are overridden by the interests or fundamental rights and freedoms of the data subject. Under some circumstances the employer (the data controller) and processor must nominate a data protection officer. The duties of the data protection officer include informing and advising the controller, processor and employees in data protection matters, and monitoring compliance with data protection legislation. In general, personal data cannot be transferred to third parties without a legal reason. However, owing to the controller's legitimate interest, such a transfer is possible (e.g., when it is within the company group for administrative purposes). Furthermore, data processing may be outsourced to a third-party processor. In such a case, the controller must only use processors providing sufficient guarantees to implement appropriate technical and organisational measures in such a manner that processing will meet the requirements of the GDPR and ensure the protection of the rights of the data subject. Personal data can be transferred outside the European Union or European Economic Area, or to an international organisation, if the European Commission has decided that the third country, a territory or one or more specified sectors within that third country, or the international organisation in question, ensures an adequate level of data. Such a transfer does not require any specific authorisation. In the absence of such a decision by the Commission, personal data can be transferred to the country or organisation if the controller or processor has provided appropriate safeguards, and on the condition that enforceable data subject rights and effective legal remedies for data subjects are available. The employer's right to conduct background checks is somewhat limited and the employee's consent is, in general, required when information is gathered from someone other than the employee, which also applies when looking to recruit a new employee. The term 'background check' leaves open what the employee is giving consent to. The use of personal data regarding credit information, health and drug use is strictly regulated by law. The employer is only allowed to process personal data directly necessary for the employee's employment relationship. No exceptions can be made to the necessity requirement, even with the employee's consent. Consent is not required when an authority discloses information to the employer to enable the employer to fulfil a statutory duty or when the employer acquires personal credit data or information on criminal records in order to establish the employee's reliability. However, the employer's right to collect such data is restricted by law and information on criminal records can only be obtained under exceptional circumstances. The employer must also notify the employee in advance that such data is to be collected. In Finland, the termination of an employment relationship requires a proper and weighty reason. 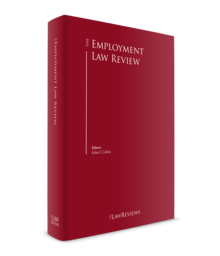 Employment may be terminated with notice for reasons attributable to the employee such as serious breach or neglect of obligations arising from the employment contract or the law and having an essential impact on the employment relationship. Employment may also be terminated when essential changes to working conditions are necessary that render the employee unnecessary or redundant. The employer's and the employee's overall circumstances must be taken into account when assessing the proper and weighty nature of the reason. Dismissal with grounds attributable to the employee requires a prior written warning, unless the reason for termination is such a serious breach of the employee's obligations that it would be unreasonable to require the employer to continue the employment relationship. resort to means of legal protection available to employees. Prior to terminating the employment on individual grounds, the employee must be given an opportunity to be heard on the grounds for termination. The employee has the right to have a counsel present at the hearing. Employment may be terminated by the employer with immediate effect only because of an extremely serious breach of the employee's obligations. Otherwise, when terminating an employment contract in force until further notice, the employer must observe a notice period. Unless the employer and the employee have otherwise agreed, or the applicable collective bargaining agreement otherwise provides, the general notice periods of the Employment Contracts Act are applicable. The general notice periods to be observed by the employer depend on the length of service and vary gradually from 14 days (if the employment relationship has continued for up to one year) to six months (if the employment relationship has continued for more than 12 years). The notice period length can be agreed to be anything up to six months, but the notice period of the employee may not be longer than that of the employer. The employer is not required to offer any severance pay in connection with termination, provided that lawful reasons for termination exist. However, the employer must pay the employee his or her salary for the notice period and compensation for accrued holidays as well as any unpaid commission or bonus. The parties may always enter into a settlement agreement regarding the termination of the employment. There is no specific law governing settlement agreements. The parties may agree on the content of the agreement as long as the content complies with general rules and principles. If the termination is deemed unlawful by a court, the employer will be ordered to pay compensation to the employee. The amount of the compensation could, in theory, be up to 24 months' total salary of the employee, depending on an overall assessment of the circumstances. 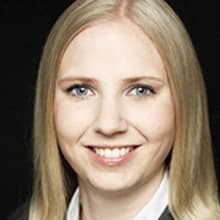 Finnish employment law does not recognise the concept of void or invalid dismissal. Hence, even if a termination of employment is considered unlawful and the employer could then be ordered to pay compensation to the dismissed employee, the termination will remain in force. Under the Employment Contracts Act, the employment may be terminated by the employer owing to substantial and permanent reduction in the work to be offered either for financial or production-related reasons, or reasons arising from reorganisation of the employer's operations. The length of the notice period in a redundancy is determined by the same principles as in any termination. Unless the employer and the employee have otherwise agreed, or the applicable collective bargaining agreement otherwise provides, the general notice periods (from 14 days to six months) are applicable. However, an employee may not be made redundant if the employee can be placed in, or trained for, other duties. This obligation to offer work covers all the employer's operations, departments and offices, and is extended to subsidiaries and other entities if the employer exercises effective control over personnel matters in such entities. In addition, grounds for termination are deemed not to exist if a new employee has been hired either before or after the termination for similar duties without any real change in the employer's operating conditions or if no actual reduction in work has occurred because of the reorganisation. If the employer needs new employees for the same or similar work within four months of the termination, the employer has an obligation to offer re-employment to employees who have been made redundant and are registered at an unemployment office. However, if the employment relationship has lasted for 12 years, the rehire period is six months. Additionally, an employer employing at least 30 employees is obliged to offer employees made redundant re-employment training and has an obligation to arrange occupational healthcare for a period of six months after the employee has been released from duties. These obligations apply to employees whose employment contract has lasted for at least five years at the time of the termination of the employee's employment contract. If the employer employs permanently more than 20 employees, it is required to enter into cooperation negotiations under the Act on Cooperation within Undertakings with its employees or their representatives when planning measures that may lead to redundancies. The purpose of the negotiations is to discuss the grounds for the planned measures, to explain how the measures affect the employees, to find possible alternatives to terminations and to inform the employees of their rights to certain unemployment benefits and to support in job seeking provided by the public employment offices. The negotiation procedure takes approximately three to seven weeks depending on the number of employees concerned by the planned redundancies and the size of the employer. The negotiation procedure is rather formal and should be documented carefully in order to avoid later disputes. It is important that no final decisions about redundancies or any such measures that may lead to redundancies are made prior to the fulfilment of the negotiation obligation. If the employer has failed to comply with the obligations under the Act on Cooperation within Undertakings, each employee who has been made redundant, or laid off, or whose employment has been reduced to part-time, may be entitled to an indemnity amounting to a maximum of €34,519. As a member of the European Union, Finland is required to comply with Council Directive 2001/23/EC (on the approximation of the laws of the Member States relating to safeguarding employees' rights in the event of transfers of undertakings, businesses or parts of undertakings or businesses) and observe the rulings of the European Court of Justice regarding the interpretation of the Directive. The minimum standards of the Directive have been implemented into the Employment Contracts Act. Under the Employment Contracts Act, all employees within the business being transferred will automatically transfer to the new owner at the date of the transfer of business. The legal consequences of a transfer of business are often summarised by stating that 'employees will transfer to the service of the transferee as old employees with existing terms of employment', meaning that all the rights and obligations deriving from the existing employment agreements are transferred to the transferee by virtue of law and no consent is required from the transferring employees. The employees may not object to the transfer of business. However, a transferring employee has a specific right to terminate the employment as from the transfer date regardless of any applicable notice periods. The employer is not entitled to terminate the employment contract or unilaterally change the terms of employment owing to the transfer of business without legal termination grounds. If the terms of employment are unilaterally changed to the detriment of an employee as a result of the transfer of business and the employee terminates the employment because of this, the employer is considered to be responsible for the termination of employment. The Act on Cooperation within Undertakings includes an information obligation for the transferor and the transferee in connection with a transfer of business. The Act is applicable if the employer regularly employs at least 20 employees. Both the transferor and the transferee have an obligation to inform the representatives of the employees on the transfer date or the planned transfer date, including grounds for the transfer, the legal, economic and social consequences of the transfer, and planned measures that concern the employees. If either the transferor or the transferee in connection with the transfer of business considers measures that may lead to termination of employment or significant changes to the terms of employment on financial, production-related or reorganisational grounds, cooperation negotiations concerning the reduction of personnel must be carried out prior to making any decision on the matter. In this situation, the above-mentioned information obligation is not sufficient. The negotiations regarding reduction of personnel are more formal with strict requirements on minimum negotiation periods and issues to be discussed during the negotiations. A comprehensive reform of the working hours legislation is currently under consideration and a government bill on a new Working Hours Act was submitted on 27 September 2018. The new Act is expected to come into force on 1 January 2020. Furthermore, the Annual Holidays Act will be updated. The government bill was submitted on 1 November 2018. A government bill on an amendment to the Employment Contracts Act is also currently being prepared. The government proposes to ease dismissals in small companies for reasons related to the employee, which has sparked heated debate and political strikes. In addition, the need for reform related to post non-competition clauses and cooperation procedures is currently being assessed. 1 Carola Möller is a partner at Krogerus.